Not sure about this. 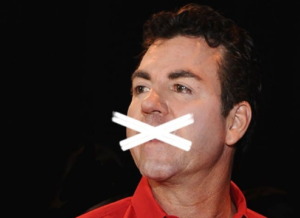 From all that I have read, John Schnatter has never used that slur before and was somewhat goaded into it in a media training session, a decision he surely regrets now. But he was (erroneously, perhaps) ascribing the use of the slur to KFC founder Harland Sanders, not describing a person or class of persons himself. Unless there is evidence of Schnatter using that term ever before, I would be slow to say that his ouster was warranted. Show me the evidence of a consistent pattern (or single other instance) of racial slurring and I’ll stand corrected.